Make that the same lesson or a multitude of lessons under the same heading, simply the weather is slowly trying to drive me nuts or teaching me a lesson in patience. We have had snow later into the season than previous years, we are at 7 months now with snow and I worry we will never make it to spring. Then what about summer? I am not sure if it is because I am homeschooling I seem to have kept track of the weather better as any good day is an opportunity for the kids to get outside. We live in a small space with 5 bodies and stir crazy does not begin to describe what it feels like to not be able to get some distance between you. After this weekend we thought we might be seeing the end, there were huge patches of lawn exposed from the snow melt and we even moved the picnic table out from hibernation. Then I woke to the worst case scenario this morning, inches of snow on the ground and more snow is blowing horizontally, the horses have icicles hanging from their fur and no one looks impressed. I know there is nothing I can do to change this, I have to ride it out and make light of it for the kids sake, as their bikes have offered them freedom this weekend we will have to go back to our imaginations until this weather passes. 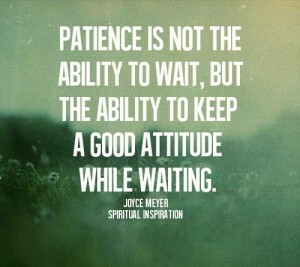 Yet it’s another lesson in patience. Ah, I empathize, Betty. Here I am thinkin it must be wonderful to be on land, but of course, when you’re on land with animals to feed, the weather is everything. I’m sure your children will be glad when they can get outside, and you’ll also get a bit of space to yourself. We finally got rid of the snow here in Ottawa and suddenly the grass is pale green. The trees have not yet blossomed but It was 22 degrees under sunshine Sunday. it your way – mild temps, sunshine, green sprouts + no boots, hats, gloves. Catch!